"One cannot cleanse the wounds of failure." The Planeswalker Urza created Karn as a war weapon. But he’s had many other purposes to serve. Able to control all five colors of mana, this silver golem is a time-travelling Planeswalker, powerful artifact, world builder, and unstoppable ally. Karn was the first artifact of the Legacy, a collection of objects whose arcane might could be used against Phyrexia, an artificial, all-mechanical plane. Decades later, when Phyrexia invaded the plane of Dominaria, Karn fulfilled his destiny, joining with the other artifacts of the Legacy to destroy Phyrexia's Father of Machines. 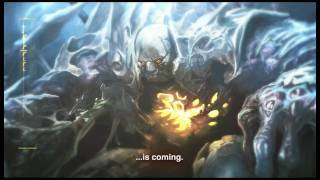 At that moment, Karn became a Planeswalker, inheriting the spark from his creator. Karn then created a plane of his own: a metal world called Argentum. While Karn was off exploring the universe, a contagion took hold, reshaping the plane and corrupting the mind of the Warden that Karn created to watch over it. During Dominaria's temporal crisis, Karn allied with Jhoira and the Planeswalkers Teferi and Venser to prevent time itself from collapsing. In the process, he became susceptible to the contagion on his created planet. His mind addled and broken by the corruption, Karn escaped to Mirrodin, where we was hailed as the next Father of Machines by the new Phyrexians. The Planeswalker Koth sought allies to help save Mirrodin, his native world. He recruited Elspeth Tirel as well as Karn's friend Venser. When the trio arrived, they found the plane poisoned beyond saving. To help prevent the corruption from spread to other worlds, Venser sacrificed himself, giving Karn his immunity to the contagion. Grief-stricken by the fate of Argentum and the death of his friend, Karn has traveled to Dominaria, retracing the ancient steps of his maker to find a solution to the Phyrexian menace once and for all. A dark contagion is taking over this metal planet, breeding wave after wave of Phyrexian horrors. Will any Mirrans survive, or will this infection spread to planes beyond? Once known as Mirrodin, the metallic plane has since been transformed by the vile Phyrexian corruption. Its natives fought and lost the war for their world, and now struggle to survive each day. White knight of community and fortification, Elspeth left her embattled homeland in search of a new place to call home. This fierce tribal leader uses red mana to shape earth and rock into weapons. His ultimate goal: peace for his people, and liberation for his plane from the Phyrexians.